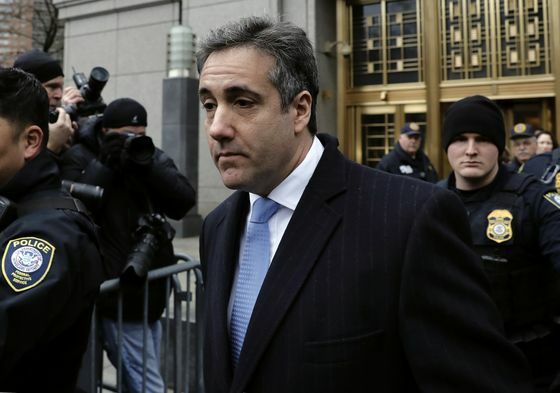 (Bloomberg) -- Michael Cohen, President Donald Trump’s former lawyer and fixer, has postponed his testimony to Congress citing concerns for his family’s safety. Trump, who has called Cohen a liar and “rat,” said in a tweet on Jan. 18 that Cohen is “Lying to reduce his jail time! Watch father-in-law!" In a Fox News interview last month, Trump said Cohen’s father-in-law “is a very rich guy, I hear.” Referring to Cohen, the president asked, “Did he make a deal to keep his father-in-law out? Did he make a deal to keep his wife, who supposedly, maybe I’m wrong, but you can check it, did he make keep -- make a deal to keep his wife out of trouble?" He has said Trump directed him to break campaign finance laws by paying hush-money payoffs to two women and and that he lied to Congress to hide that negotiations to build a Trump tower in Moscow continued well into the 2016 presidential campaign. While the House committee would have to steer clear in an open hearing from issues potentially still under investigation by Special Counsel Robert Mueller, leaders of the Senate Intelligence Committee have said they want to hear from Cohen separately in a closed session. "He was panicked. He was like ‘he’s going after my father-in-law. Are my children next?’" Deutsch said on MSNBC on Jan. 18. Deutsch said Cohen told him “you have no idea what this man is capable of."